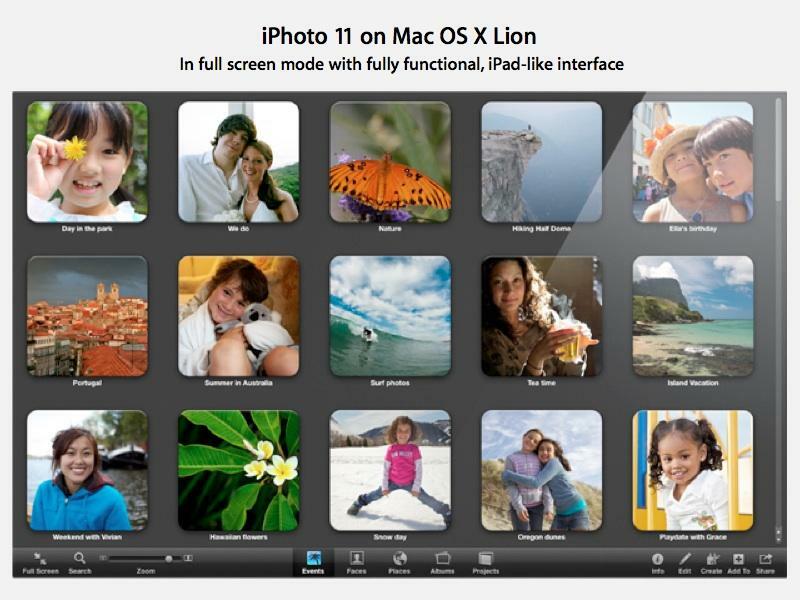 Apple first began developing the concept of full screen functionality within its own iLife apps, particularly iPhoto. 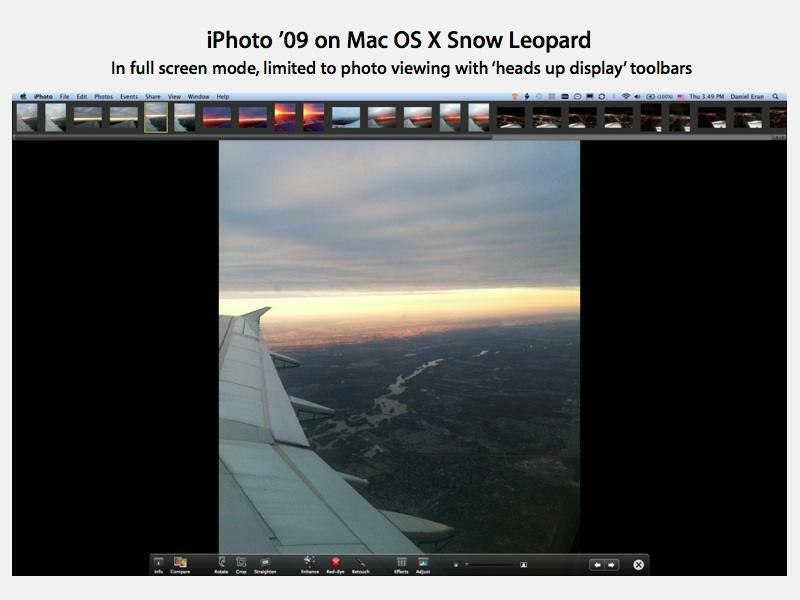 In iPhoto '09 (released in January 2009 for OS X 10.5 Leopard), users could enter a special full screen mode that provided distinctly dark "heads up display" toolbars. In late 2010, Steve Jobs demonstrated Full Screen as a new feature of OS Lion, providing it a system-wide feature that apps could make use of to switch from a windowing environment to a simpler, distraction-free Full Screen display similar in many respects to the iPad. Jobs demonstrated Preview and what would later ship as iPhoto 11 on OS X Lion, where when entering Full Screen mode, the system would actually hide the toolbar. Additionally, rather than presenting "heads up display" style toolbars, apps taking advantage of Lion's new Full Screen feature would instead adopt a revised user interface suited to working within a single screen, and very similar in appearance and design to the iPad's default user interface. At the time, the idea of removing the previously always-visible Mac menu bar and allowing inactive scrollbars to vanish when not in use appeared to be the most controversial aspects of the new Full Screen feature. In reality, users seemed to readily adopt the optional new Full Screen feature without significant complaints, and simply didn't use it if they couldn't find it useful to their needs. Except for one group of users, that is: anyone with multiple monitors. Apple's new Full Screen feature instantly makes any connected displays completely worthless anytime an app enters Full Screen mode. 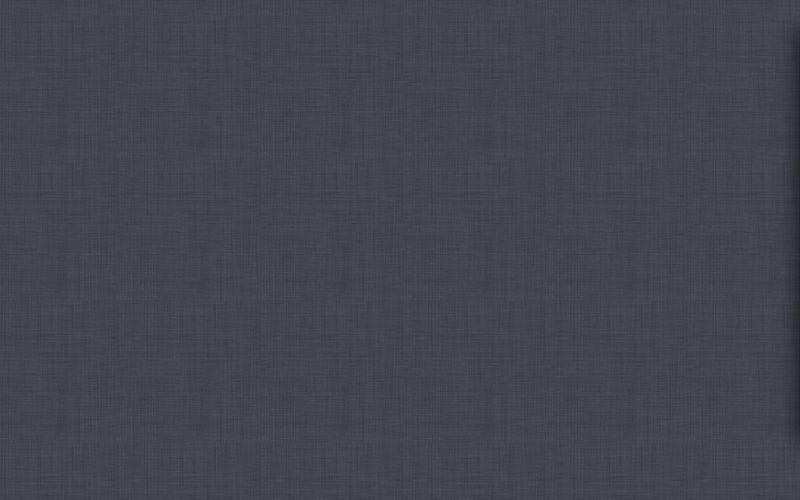 That's because the system blanks all secondary displays with "dark linen" and simply uses the primary display to go full screen (below top: Safari in Full Screen under Mountain Lion on a secondary monitor; below bottom: the primary display is blanked and therefore useless). Full Screen is clearly only useful to users who are working on a single display, because blanked external displays can't be used for anything else. You can't open a second Full Screen app to display in it, you can't show the desktop on it, and there's nothing you can drag (say, app toolbars) into the secondary display to free more screen real estate. Improving this situation isn't simple. How could you actually work in Full Screen on one monitor while the system attempted to retain a fully functional desktop on another? What happens when you try to move a window from one display to the Full Screen one (which is designed purposely to avoid the complexity and distractions of a windowing environment)? Apple's solution in Mountain Lion is an incremental band-aid, but does expand the usefulness of Full Screen mode to users who connect to external displays. New in Mountain Lion is the ability to target which screen you want to go Full Screen in. In the screen shots above, Safari was taken full screen on an externally connected HDTV. This allows notebook users, for example, to connect to a big external display and use it for Full Screen work. Unfortunately, all the other screens are still blanked, but there isn't a simple fix to addressing this in a sensible way. Note that Lion users can already do essentially the same thing by using display mirroring rather than setting up their external display as an expanded bit of desktop before entering Full Screen. In Mountain Lion however, Full Screen apps can actually make use of the greater resolution available on a large external display, rather than scaling down to show the image on the primary display. And of course, tech-savvy Lion users can also configure their external display as the primary screen, but jumping through hoops like that erases the simplicity that Full Screen is supposed to provide. This is likely why Mountain Lion now supports (on Macs with compatible hardware) AirPlay Mirroring but not simply AirPlay distribution of a virtual secondary monitor screen. AirPlay Mirroring is targeted to address effortless, wireless presentation of what you see on your Mac (or iPad, or iPhone or iPod touch) to a TV screen via Apple TV, not for setting up a complex multiple display configuration that wouldn't have a clear or obvious purpose and not be broadly useful. At the same time, however, users can now turn on AirPlay Mirroring and take an app Full Screen to easily show what they're doing to a larger audience. In the future, Apple could build support into OS X to allow multiple monitors to each display different Spaces of the virtual desktop. Users can already switch between Spaces supporting a desktop with windows and other Spaces, each with a dedicated app running in Full Screen mode, but can only see one Space at a time. Displaying different Spaces on different monitors would be one solution to allowing users with multiple monitor to use each of them at the same time in Full Screen mode, but it also raises new problems. 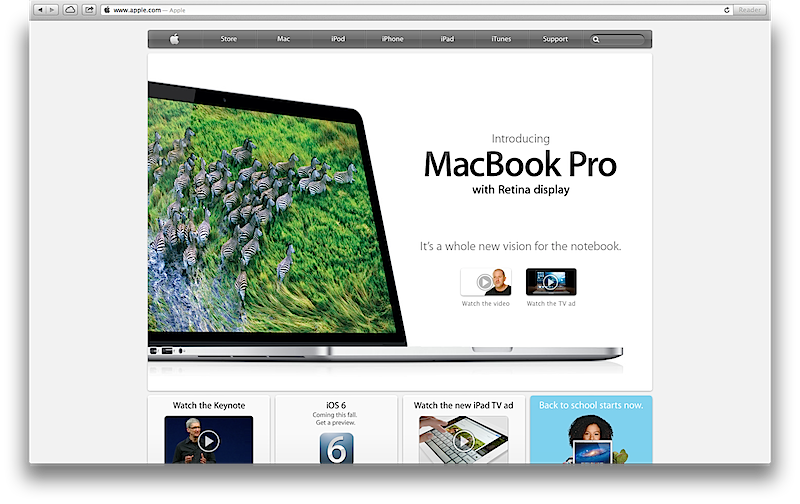 Unlike the existing behavior, where different Spaces are never active and visible at the same time (and therefore users have no way of trying to drag windows or toolbars or selections between them without the Space "changing"), it might be confusing for users to see Safari running Full Screen on one display, Mail in another, and the desktop on the primary, and not have the ability to drag items between them. Changing how Spaces' virtual desktops work would also affect remote display apps such as ARD and OS X's built in Screen Sharing. 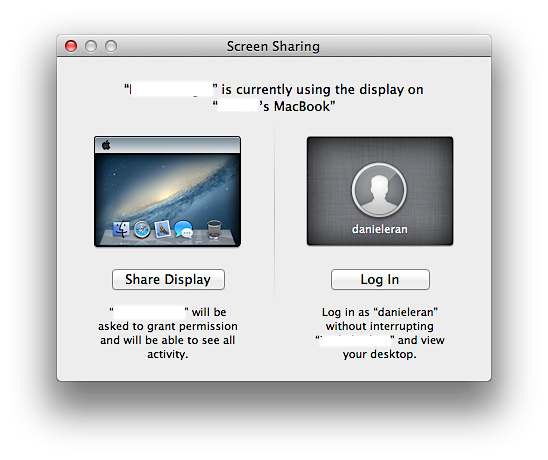 However, Apple earlier enhanced Screen Sharing in OS X Lion to enable remote users to not just see the logged in user's desktop, but alternatively log in as a separate, concurrent graphical user (shown below). That's not the same issue, but it does show Apple is investigating various ways to improve users' experience in working with multiple users, screens and displays. Apple has also added support in Mountain Lion Screen Sharing for drag and drop of files between the local system and a remote system's shared screen. In any case, until changes are made in the technical underpinnings of OS X's Full Screen and virtual display Spaces, the best one can do in Mountain Lion is pick which display to take the current app Full Screen in, which is at least a significant step ahead of Lion's implementation.